How do I verify Optimus is turned on in my Alienware Alienware 17 (R5)? Before installing your New GPU, make sure you are running in optimus mode. Go into device manager and verify that there are 2 cards listed. One being the intel, and the other being your current card. If you DO NOT have both listed, press FN+F5, and they system will request a reboot. Then they both will be there. My Alienware notebook is not regognizing my New GTX 980M Video card...Why?? 2)Disable driver signature enforcement in Windows 10. The drivers for all Video Cards that we sell are available in our Alienware Upgrade showroom. On the yellow banner above you will see a series of links. Please choose Drivers and you will be taken to the proper drivers for your notebook. 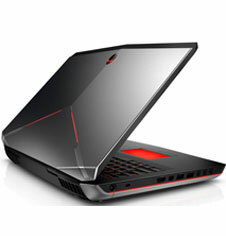 Who do I contact to get some help with my Alienware Notebook upgrades? How to Find your GPU Hardware ID? How do I find the Hardware ID in my Alienware? I need it to load the correct drivers. The drivers are based on the specific Machine ID of the system. 5/ The end of the second line will list the machine ID, as the last set of numbers. How to Disable the Digital Signature Enforcement of Windows 8x ? 1. Press "Windows" + “R” keys to load the Run dialog box. 2. Type “shutdown /r /o” and press Enter. 3. Windows informs you that you are about to be signed off. Press “Close”. 4. When Windows restarts, press “Troubleshoot” . 5. In the “Troubleshoot options” screen, choose “Advanced options”. 6. In the “Advanced Options” window, choose “Startup Settings”. 7. In “Startup Settings” screen, click “Restart”. 8. After restart in “Startup Settings” windows, press the “F7” (or the “7”) key on your keyboard to “Disable driver signature enforcement”. Your computer will restart again. 9. After the restart, proceed to install your unsigned driver. During the installation procedure, Windows will inform you that can’t verify the publisher of this driver software. At this point, ignore the warning message and choose “Install this driver software anyway” to complete the installation.